I wrote an email to Robert Ryan 5 minutes ago to ask him for details. If he responds, I will post his reaction on the forum. Subject: Re: 'Early One Morning' as a movie ? > your book "Early One Morning" is being developed as a movie. > development of a movie based on your book. > possible we would like to learn more about this project. > the movie. Thank you very much for your reaction. > favourite film "Das Boot" by Wolfgang Petersen. "Barttore has left the forum"
Last edited by barttore on Mon Jan 18, 2010 6:43 pm, edited 2 times in total. Post subject: Fictional Bugatti books. 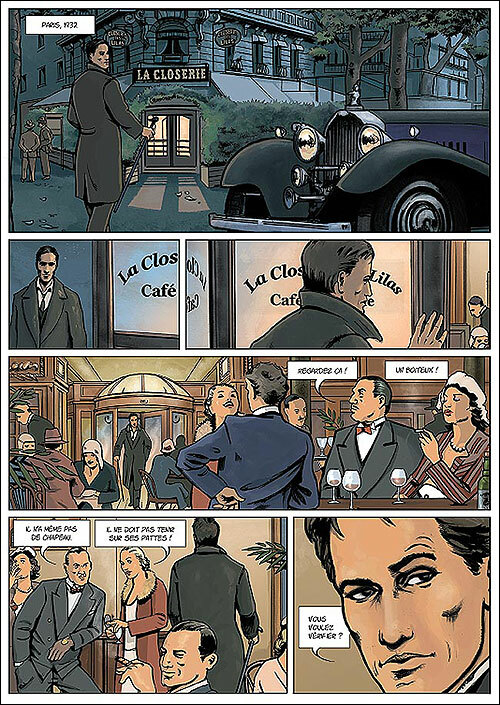 Un autre "Roman" : "L'adieu a Bugatti" par Patrice de Méritens. Lettre a Bugatti trouvée au chevet de son frere Rembrant. GRAND-PRIX:TOME 1: GP 26 - 31 by André Etancelin last month. Due to a discription of the book elsewhere I thought the book would be in French and English language, but it turned out to be French only. I informed about this with the owner of the site on which the book was stated to be FR+GB and it was corrected to FR. No harm done: still a beautyfull book to have ! A few days later I went through Helge Hauck's Bugatti literature almanach (http://www.bugatti-club-austria.at/Alma ... eratur.pdf) and found out that a English translation exists (page 603), called A GRAND PRIX DRIVER'S (BUGATTI) LOGBOOK: VOL 1: 1926 TO 1931 by David Waldron (Imaginactif (F) 1997 , Pontoise (F)) ISBN 2 9508990 0. According to this almanach an additional booklet contains the English translation of the French Original. If anyone is in posession of this translation: please send me a personal note if you are prepared to make a scan of copy for me - if there are costs involved please let me know. 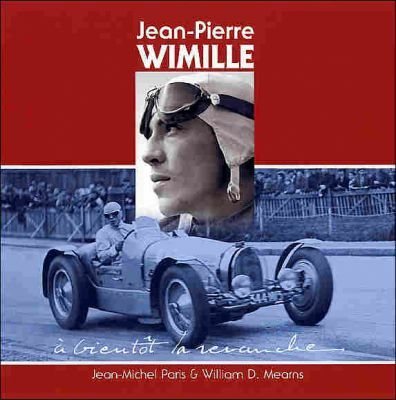 If you wait for an autobiography by J.P. Wimille you will have to wait a long time since he died January 1949. There is a new book published about advertising brochures through the heyday., posters of cars. Jay Leno did an 11.45 minute interview with the publisher-with pictures..several unseen/rare bugatti posters. Just finished readin David Scott-Moncrieff's "Escape from peace". 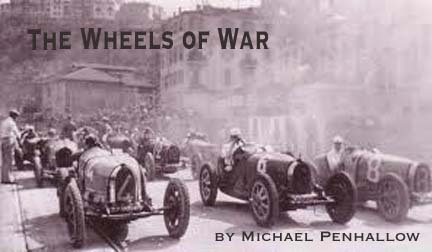 The book ends with plans for a trip by Bugatti to Portugal. Did a search but could not find a sequel to the book mentioned above. Did Bunty own another 57 ?